Two San Diego County community colleges announced Monday they expect to waive tuition for thousands of first-time, full-time students as part of the California College Promise program. The Promise program, signed into law by Gov. Jerry Brown last October , covers a year of tuition for first-time students with financial need in California, as well as textbooks and other school supplies. Funding is provided by private donations and state and local entities. At MiraCosta College in Oceanside, students who graduated from a high school within the community college’s district — MiraCosta serves coastal North San Diego County through its main campus in Oceanside, at 1 Barnard Drive, and San Elijo campus in Cardiff-by-the-Sea — can receive up to $1,000 for textbooks and other supplies if eligible. 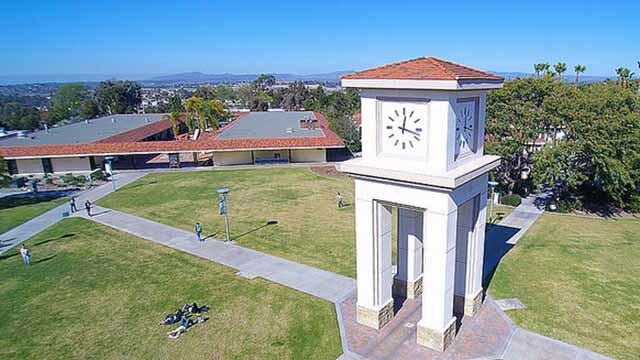 MiraCosta College and Palomar College in San Marcos expect enrollment in the program to top 2,000 combined students for the 2018-19 academic year. Palomar’s expected enrollment of 1,512 students is more than double the program’s size during 2017-18, which totaled 657 students at the end of the academic year, according to the college. The Palomar College Foundation announced Friday that it received a $100,000 grant from the San Diego County Board of Supervisors, a portion of which will go to funding for the school’s Promise program. While school officials at MiraCosta don’t have an exact estimate, they expect an increase over the 434 students in the school’s program last year. MiraCosta aims to cover two full years of tuition and fees for qualifying students in the near future.